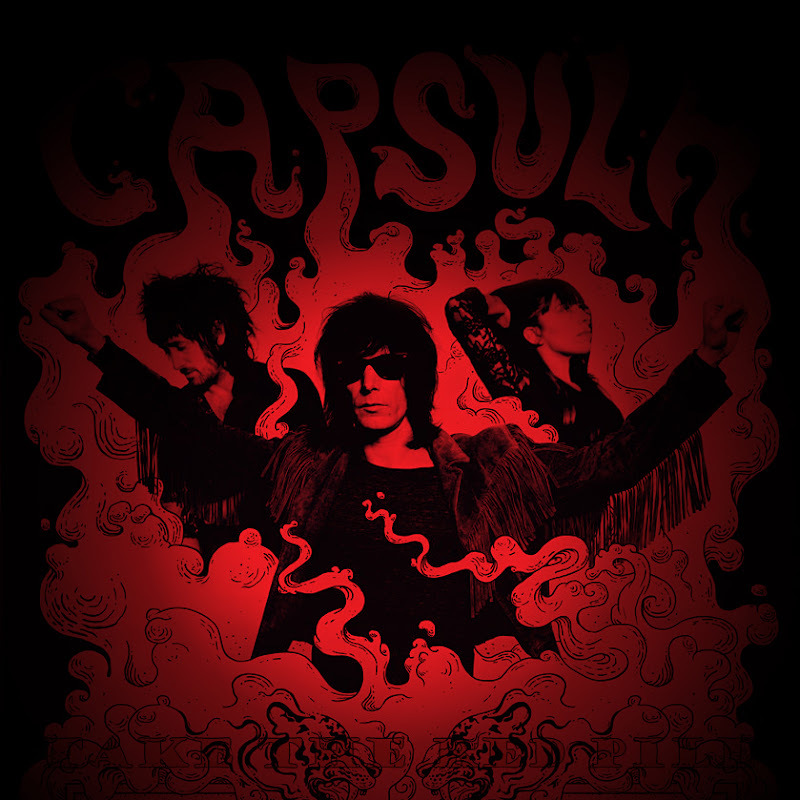 Among all the bands seen this year, there's certainly one that stands out more than the others for their loud generosity : Capsula ! 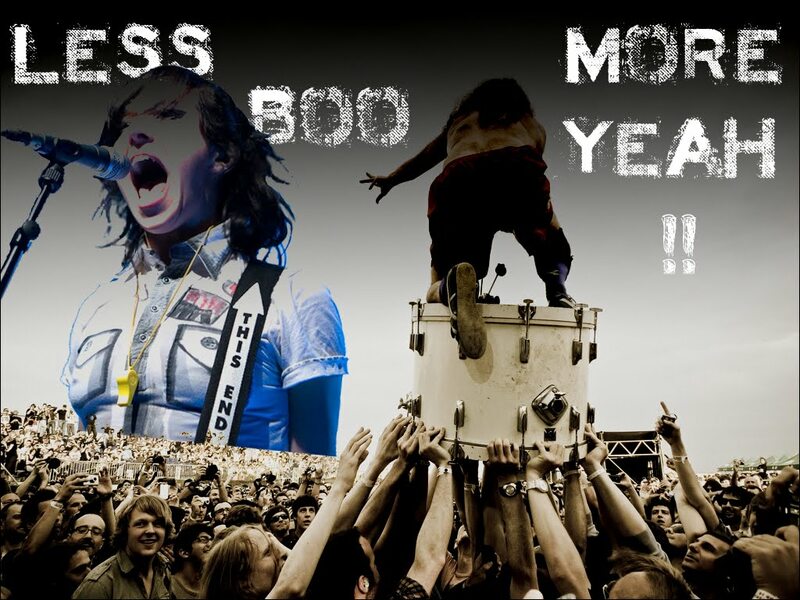 Can't really figure out how I could possibly miss them out for more than fifteen years and eleven albums !! This band sounds so damn obvious for the ears, mind and soul ! Capsula was set the first night and from the first song, " Mejor No Hablar De Ciertas Cosas", I knew the Argentinian band (now located in Bilbao) was about to become one of my favourites for the years to come ! What a blast to watch a band just equally living their everlasting passion for their psych-stoner-glam rock, whether they play in front of seventy two thousandpeople in a stadium or a bare two hundred in a village open covered market ! The front duo, Martin and Cony, were clearly happy to be back and they sure delivered an all killer-no filler set that I have never failed to watch them play since ! 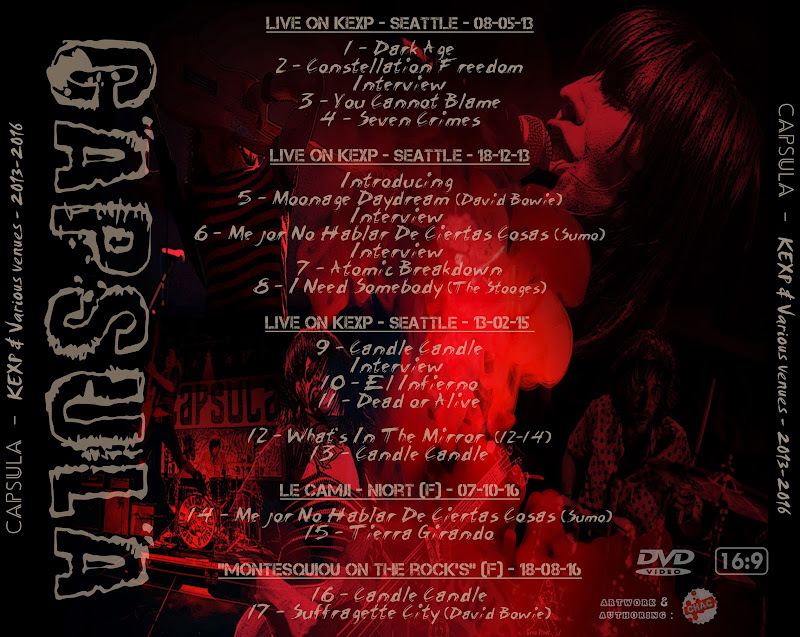 As for the rest of the dvd, it mainly focuses on KEXP sessions (thank you so much guys for spreading the good vibes over the world !! ), digging up some new episodes from where the great Txomin ended his. The boisterous radio station from Seattle obviously loves them too as this is probably the American show they have played the most often for over their career and as Cheryl Waters, one of their hosts pointed out, "Seattle is a kind of a second home" to them now ! Again here, they play a few very well chosen gritty covers that their original performers wouldn't certainly be ashamed of. Even if the disk is full packed (many many video-trimmings to cram everything in ! ), I had a bit of a difficulty to find some true live materials. Like many others, the band is clearly unfairly underrated and that may explain why you have "Candle Candle" three times here. However, apart from being one of the best songs of the last album, the side arrangements are different every time ! This is what is really appreciable with this band. With such a background experience, such a wide range of styles, they can now flit over their repertoire and never sound the same for a particular song.